Jossy is the founder and international director of Empart, a global Christian non-profit organization. Jossy and his wife Jenni started Empart from their spare bedroom in 1998. Formerly known as Compassion For India, Empart today has successfully planted more than 1,200 churches in one of the world’s most unreached regions: North India. As a dynamic and gifted communicator, Jossy is called to speak to groups of 30 to 30,000 people around the world to challenge, teach and encourage leaders to transform entire communities through innovative church planting. Jossy met his wife Jenni at Bible College, and they have four beautiful children: Jemimah, Jacob, Jasmine and Joshua. The JC Family lives in Melbourne, Australia. 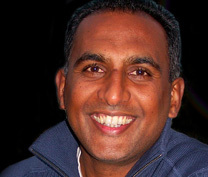 Visit his website at www.jossychacko.org.